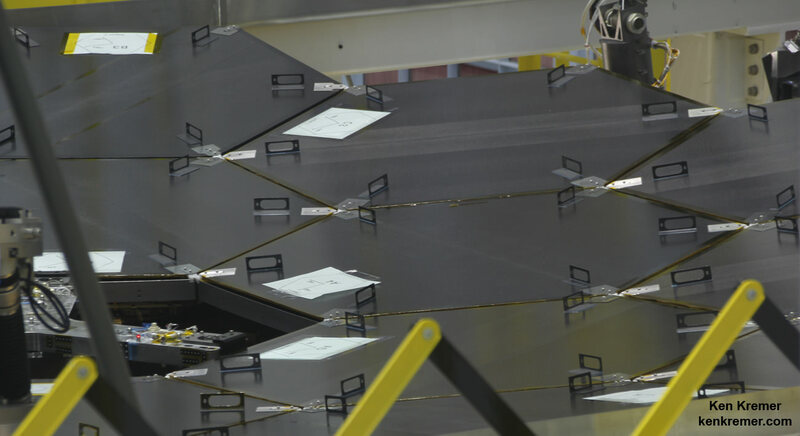 The central piece of the “pathfinder” backplane that will hold all the mirrors for NASA’s James Webb Space Telescope (JWST) has arrived at the agency’s Goddard Space Flight Center in Maryland for critical assembly testing on vital parts of the mammoth telescope. 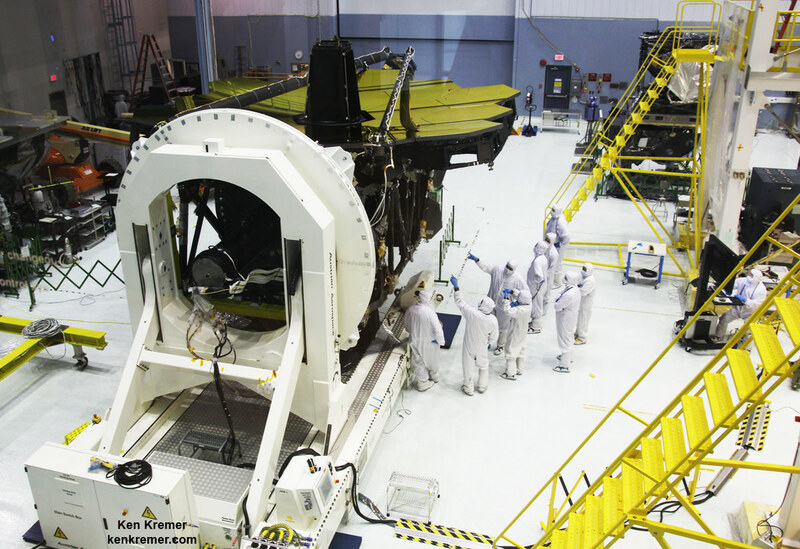 The pathfinder backplane arrived at Goddard in July and has now been hoisted in place onto a huge assembly stand inside Goddard’s giant cleanroom where many key elements of JWST are being assembled and tested ahead of the launch scheduled for October 2018. The absolutely essential task of JWST’s backplane is to hold the telescopes 18 segment, 21-foot-diameter primary mirror nearly motionless while floating in the utterly frigid space environment, thereby enabling the telescope to peer out into deep space for precise science gathering measurements never before possible. 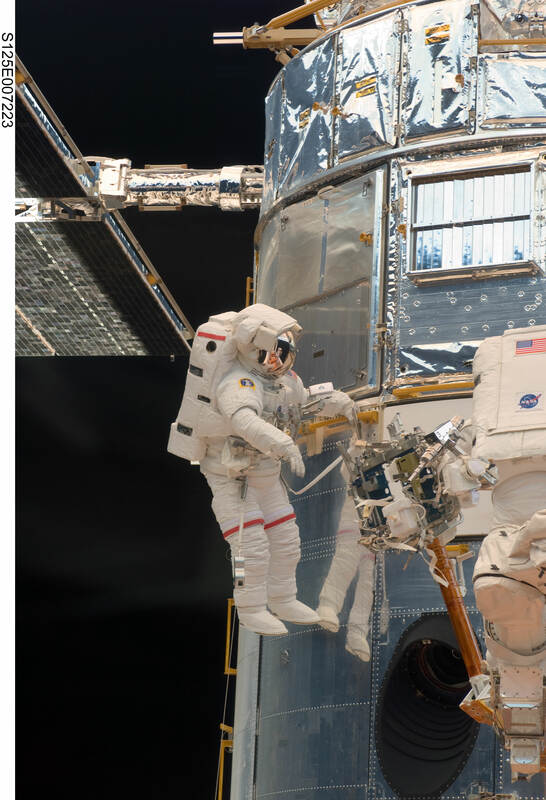 Over the next several months, engineers will practice installing two spare primary mirror segments and one spare secondary mirror onto the center part of the backplane. 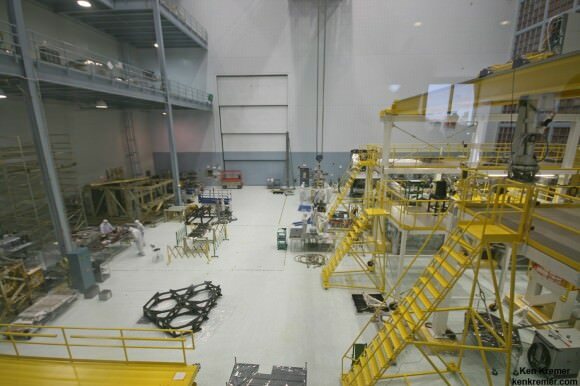 JWST pathfinder backplane has arrived here at NASA Goddard clean room. 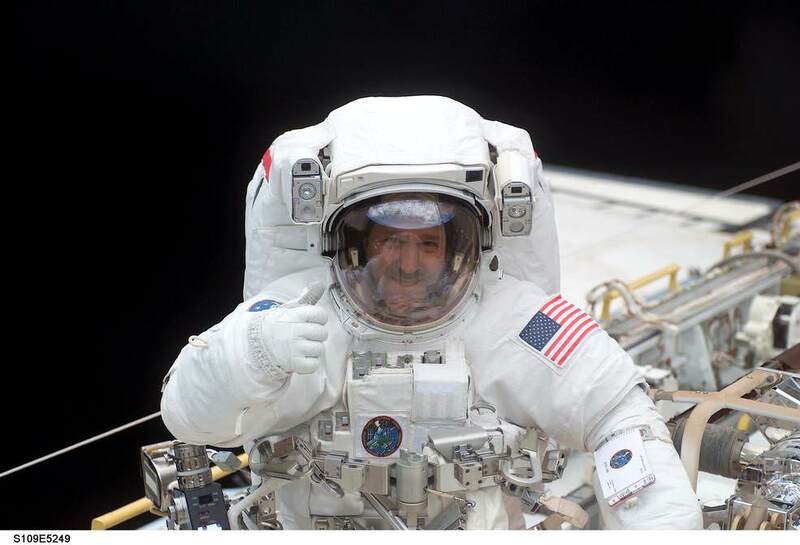 The purpose is to gain invaluable experience practicing the delicate procedures required to precisely install the hexagonal shaped mirrors onto the actual flight backplane unit after it arrives. 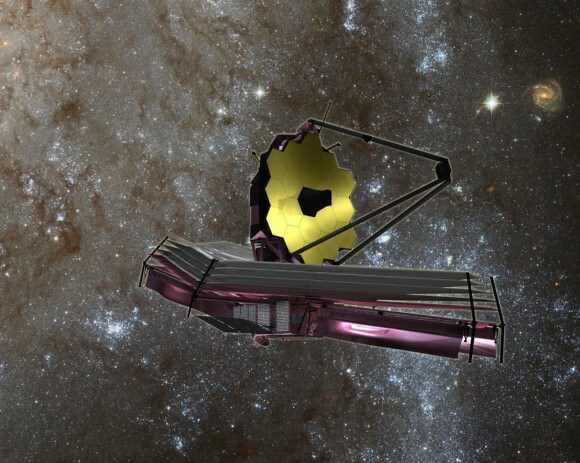 The mirrors must remained precisely aligned in space in order for JWST to successfully carry out science investigations. 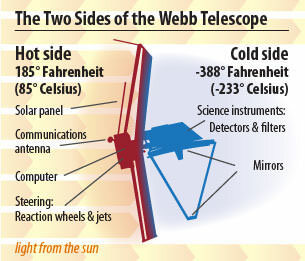 While operating at extraordinarily cold temperatures between -406 and -343 degrees Fahrenheit the backplane must not move more than 38 nanometers, approximately 1/1,000 the diameter of a human hair. The backplane and every other component must function and unfold perfectly and to precise tolerances in space because JWST has not been designed for servicing or repairs by astronaut crews voyaging beyond low-Earth orbit into deep space, William Ochs, Associate Director for JWST at NASA Goddard told me in an interview during a visit to JWST at Goddard. 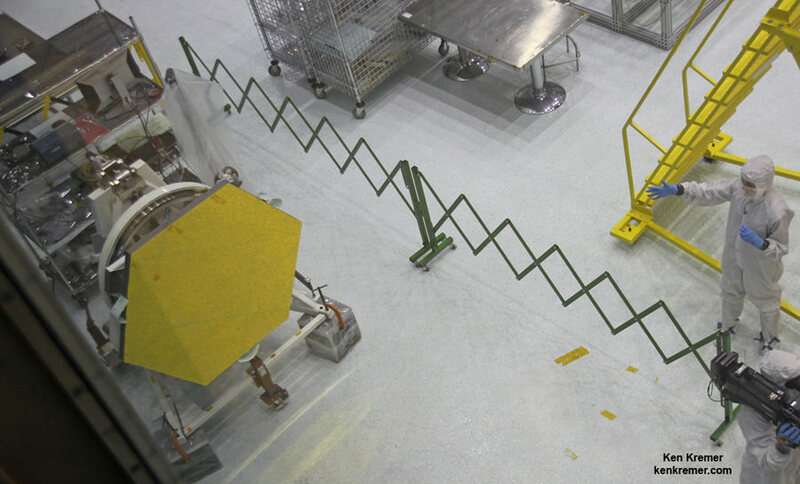 Watch this video showing movement of the pathfinder backplane into the Goddard cleanroom. 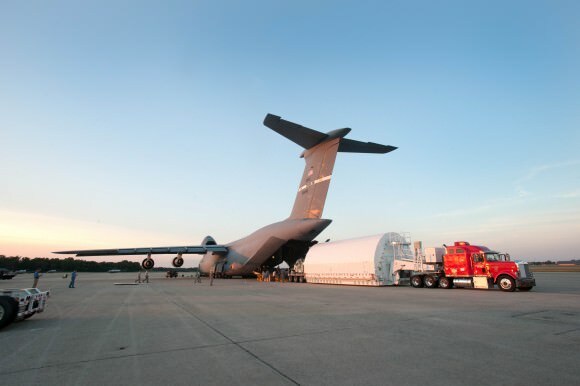 The actual flight backplane is comprised of three segments – the main central segment and a pair of outer wing-like parts which will be folded over into launch configuration inside the payload fairing of the Ariane V ECA booster rocket. 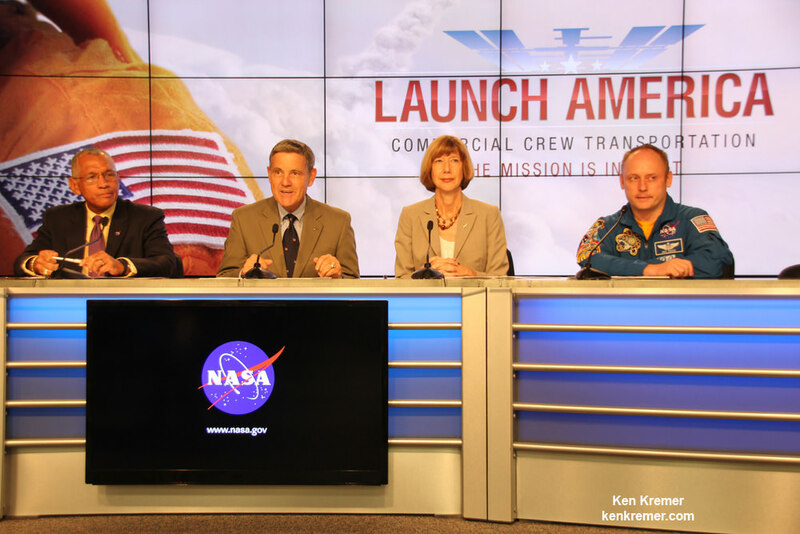 The telescope will launch from the Guiana Space Center in Kourou, French Guiana in 2018. 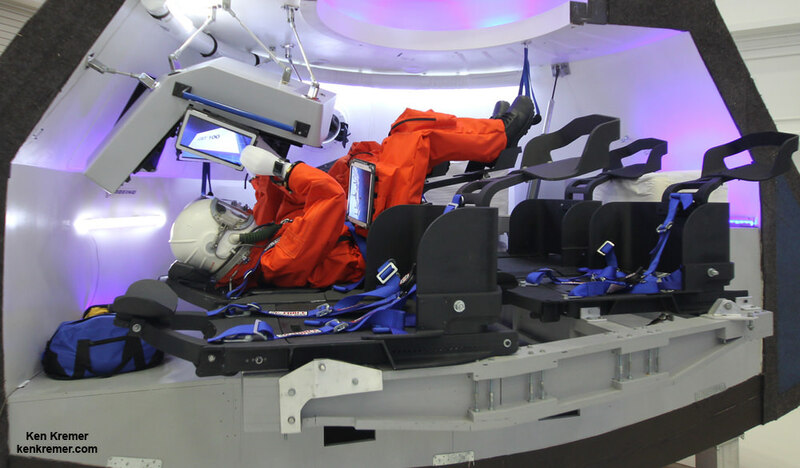 Both the backplane flight unit and the pathfinder unit, which consists only of the center part, are being assembled and tested by prime contractor Northrop Grumman in Redondo Beach, California. The test unit was then loaded into a C-5, flown to the U.S. Air Force’s Joint Base Andrews in Maryland and unloaded for transport by trailer truck to NASA Goddard in Greenbelt, Maryland. 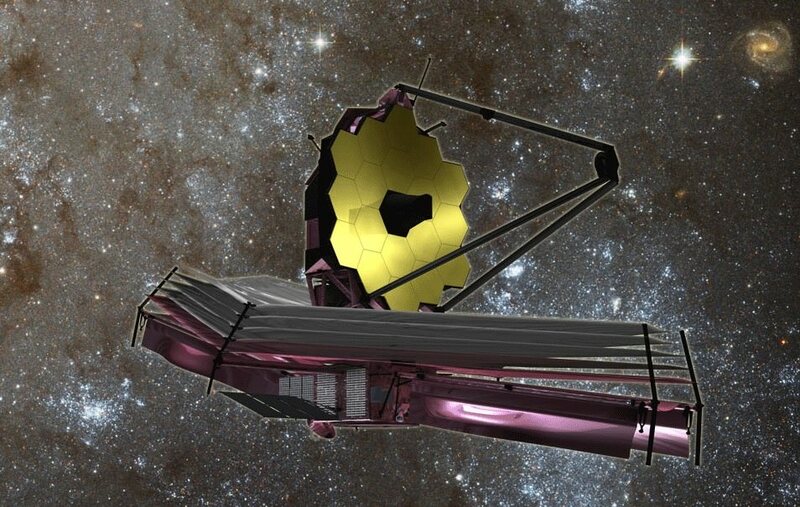 Read my story about the recent unfurling test of JWST’s sunshade – here.